Gathering of all Team Elites; striving forward with a united heart! RIWAY International gathered all the Team Elites, each of them performed their respective roles, excelled in their successes, and through their steadfast competencies exuded brilliance and charms, they bravely led the teams toward higher peaks. 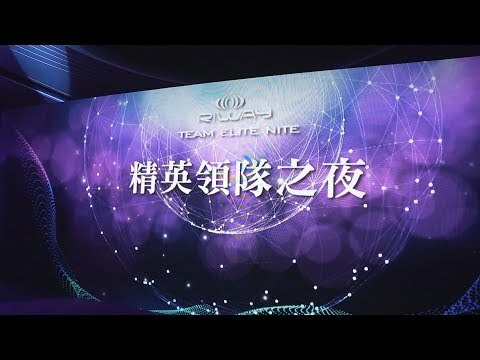 “Team Elite Nite” is an important source of inspiration for all the distributors and Team Elite leaders who are willing to change themselves, choosing to achieve never-ending breakthroughs, strengthening themselves so as to lead the others toward the direction of their dreams. All the active Team Elite leaders were in their best and also formally attired for this grand event!